Public Relations is a changing field and it can be a challenge to manage and control corporate messaging in these times of lightning fast responses and broad data dissemination through social media networks. The advancement of good listening tools allow a PR team to keep an ear to the ground for news about their clients and enable them to lend their voices to ongoing discussions, but it’s even better if you’re already in the conversation to start with. You can’t control social media so you’d best learn to understand how to work with it instead of against it. 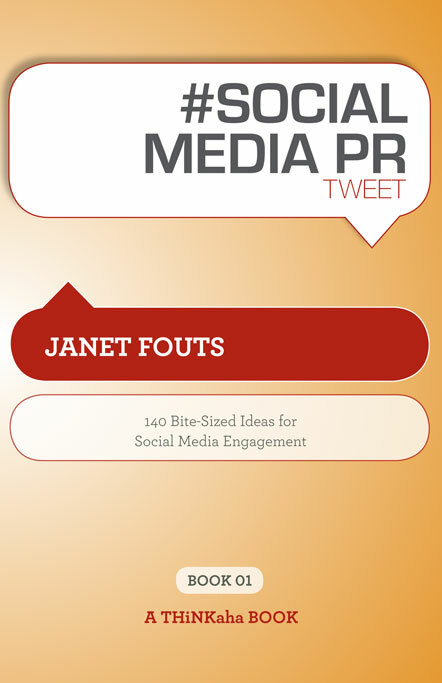 I’ve been fortunate to work with some amazing PR people, and my latest book, #Socialmedia PR tweet is a way to answer some of the questions I get regularly from public relations pros through my social networks and in my coaching practice. I didn’t write this book alone. Like my previous book, #Socialmedia nonprofit tweet, which was co-authored with Beth Kanter, I reached out to my Twitter network and asked for help. Follow the links above to follow them on Twitter and give ’em a high five for me! Then get on over to my publisher’s site at Think aha® and reserve your copy of #Socialmedia PR tweetnow!